Smolder resistant lining: Polyester wadding. Filling material: Hollow polyester fibers.Machine washable for easy care. Hook and loop fasteners keep the chair pad in place. 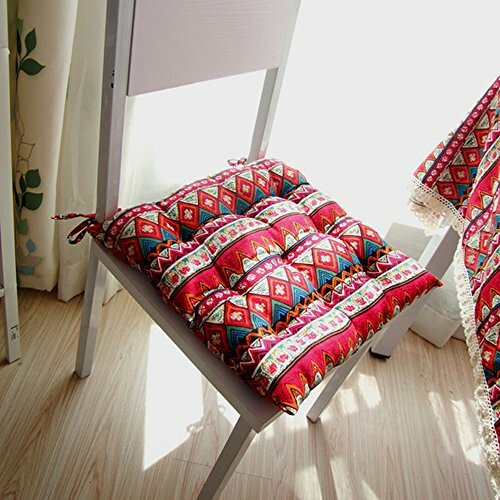 The chair cushion has two identical sides so it can be turned over for even wear. Good to know: Fits STEFAN, KAUSTBY, INGOLF, and JOKKMOKK chairs. Usually it takes about 7-14 business days for the item to reach you. People & Planet: To lower our environmental impact this product is offered without any packaging. Renewable material. If you are not satisfied with the yazi chair cushion, just return it within 30 days for a full refund. No questions asked, no hassle. Scroll up to click the Add to Cart button. yazi chair cushion shipped today. The pad has ties on the back corners to keep it in place and is generously filled with soft polyester. If you have any questions about this product by yazi, contact us by completing and submitting the form below. If you are looking for a specif part number, please include it with your message.